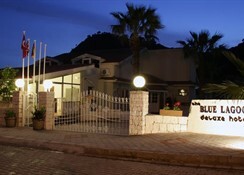 This welcoming hotel affords a charming location, surrounded by mountains, in a side street of the small town of Belcekiz. A wide selection of shopping and entertainment venues are all located in the neighbourhood. Fethiye is some 14 km away. The glorious pebble and sand beach of l Deniz bay is some 400 metres from the hotel.This well-situated hotel comprises three 2-storey buildings with a total of 62 rooms. The lobby houses a 24-hour reception desk and safes. 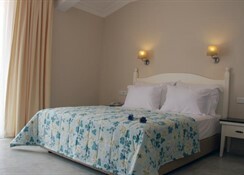 Further facilities include a cosy bar, a TV room, a restaurant, and a dining room with a terrace. Furthermore, there is a public Internet connection. Additionally, room and laundry services, as well as medical assistance, are available.The rooms are bright and tasteful and all come equipped with an en suite bathroom with a shower and hairdryer, a direct dial telephone, satellite- cable TV, and a hire safe. In addition, all rooms are fitted with a minibar, air conditioning, and a balcony or terrace.The well-maintained grounds include a swimming pool, a paddling pool, and sun loungers and parasols laid out ready for use.Guests can select their breakfast and dinner from a buffet. Half-board stays may be booked. Location wise this hotel was perfectly situated - at the top of the main 'strip' and only a 10 min stroll to the beatiful beach. Hotel was basic, however pool area was lovely. Breakfast not so good but it's cheap and cheerful so can't complain. 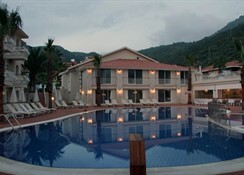 Olu Deniz is stunning and would definitely return to the resort.